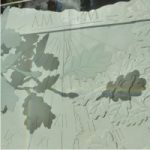 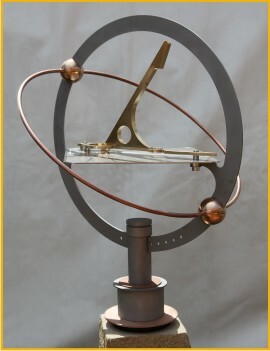 Visitors to the Scottish Game Fair today will have an opportunity to see Orbdial, the latest garden creation by Edinburgh man Alastair Hunter, an award winning sundial designer. 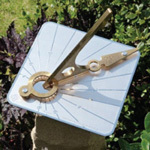 Alastair, owner of Macmillan Hunter Sundials, will have his range of precision and aesthetically pleasing instruments on display at Stand D10 on Duck Row. 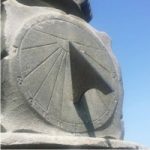 Sundials are enjoying a renaissance as innovative new designs attract a new generation of people appreciating what is almost certainly the oldest scientific instrument known to man. 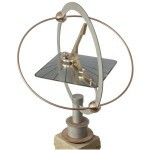 The Orbdial is aimed at people who value individuality and comprises a horizontal sundial set within an armillary sphere incorporating both meridian and equinox rings. 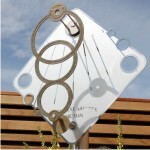 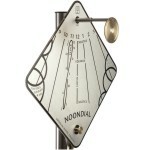 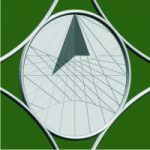 The design is unique to Macmillan Hunter Sundials and may be the first of its kind. 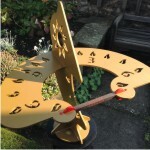 In 2012 Alastair added ‘Hourdial’ to his collection: a beautiful horizontal dial transforming the visual idea of what a typical garden sundial looks like and available with a choice of pedestals in cast and natural stone. 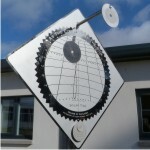 This entry was posted in News, Sundials on July 5, 2013 by Alastair Hunter.